In 2002, Matt became the lead teaching pastor of Highland Village First Baptist Church, now known as The Village Church. In 1999, he married his wife, Lauren. They have three children: Audrey, Reid and Norah. On Thanksgiving 2009, Matt suffered a seizure in his living room. He was rushed to a hospital where an MRI revealed a golf ball-size mass in his right frontal lobe. Once the tumor was removed, he was diagnosed with anaplastic, or malignant, non-encapsulated oligodendroglioma, WHO grade three. After undergoing 18 months of radiation and chemo, Matt was given a clean bill of health. He continues to receive regular MRI scans to monitor his progress. God has been unbelievably gracious and merciful throughout this story, using it—especially Matt's health updates—to encourage The Village and others around the world. In 2012, Matt became the president of Acts 29, a network of churches planting churches. He brought a fresh vision to the organization, mapping out four specific hopes for its future—plant churches who plant churches, be known for holiness and humility, become radically diverse and be serious about evangelism and conversion. Matt has authored five books, his latest being The Mingling of Souls. 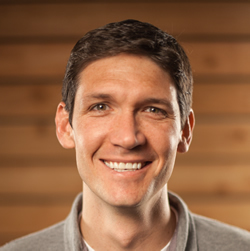 Matt Chandler, president of Acts 29 Network and senior pastor of The Village Church has been a long-time friend of Exponential. Matt recently created a buzz by deciding to release the church’s 6 campuses to become autonomous churches. I talked with Matt this week and asked about this decision and the transition. Many people are asking the question, “Is this deconstruction of multisite a trend or an anomaly?” Some people see it as nothing unusual while others are looking at it as a forthcoming trend. But what if a growing number of elder boards that are looking hard at the succession plans for their founding leaders are asking, “Do we really want and need this complexity and sideways energy? Maybe we should decentralize and simplify! Will multisite inherently allow us to multiply or limit us to aggressive addition?” Even more importantly, what impact might the context of these inevitable conversations have on the next generation of younger, emerging leaders? While it’s understandable to see churches decentralize their campuses in response to a crisis (e.g. Mark Driscoll at Mars Hill), or succession planning (Lon Solomon at McLean Bible Church and Tim Keller at Redeemer Presbyterian), it’s unusual to see a church like The Village decentralize primarily as part of shifting their scorecard from addition/reproduction to multiplication. At Exponential, we call this, “moving from Level 3 or 4 reproduction to Level 5 multiplication.” Churches want the benefits of multisite, but increasing numbers of leaders are recognizing multisite’s inherent limitation to multiply. Where one church might plant hundreds of churches in its lifetime, it’s unlikely that even the best-led churches will see more than 10 to 20 campuses. So why build a self-limiting strategy primarily on multisite? Why pursue a legacy limited to addition rather than one built on multiplication? Matt is 25+ years away from retirement, the Village Church is healthy and growing, and they are looked up to by many church leaders. So the decision to decentralize is worth understanding and paying attention to. Anomaly? I don’t know, but if Matt represents the thinking of the next generation of leaders, we may be primed to see momentum in the direction of Level 5 multiplication. That’s Level 5 thinking with a Level 5 scorecard!